Brad has over 30 years of experience as an Emcee, DJ, Radio Talent and Musician. Brad has experience with almost any kind of audience, from young to old. His SPECIALTY however, is getting people on the dance floor. Brad has helped hundreds of brides, grooms and their families make this, most important day, one filled with wonderful memories of a fabulous and touching day which included everyone in the fun. Brad understands that your event and your guests are unique. 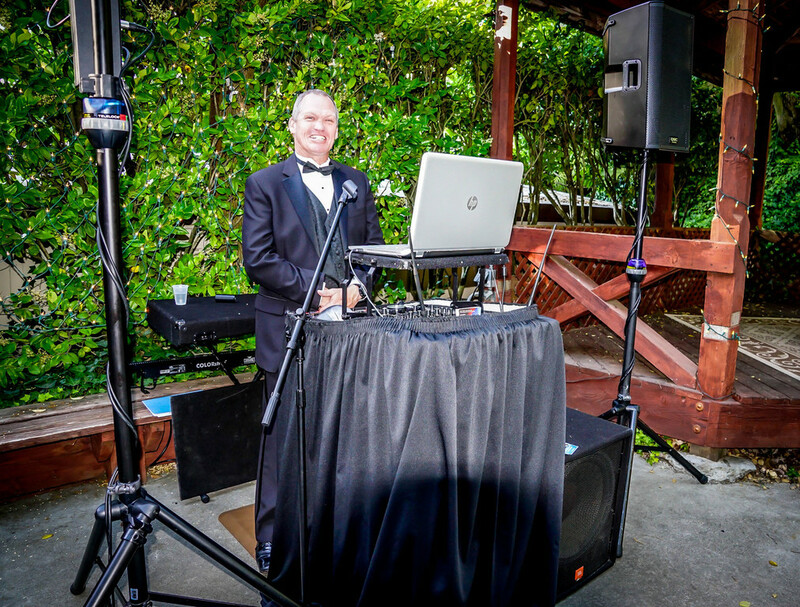 And his experience, knowledge and love of music from the 1940’s through today as both a DJ and a musician, provides him the ability to read the crowd and custom tailor a musical experience that helps guests of all ages and backgrounds to have the time of their lives." If you would like to meet with Brad to discuss your event and make sure he is the right fit for your event! Please contact MWE today and ask for Brad!